Millions of people still avoid going to the dentist due to fear or anxiety. Some had bad experiences as children. Some fear the pain or even the sound of a dental drill. Regardless of the reason, there’s no need to skip necessary dental care. Thanks to the wide range of relaxation techniques available today, such as sedation dentistry, or sleep dentistry, an unpleasant dental experience should be a thing of the past. Dr. William Dodson and his Surgi-Center staff in the Carmel and Salinas area are devoted to creating a pleasant and stress-free dental environment for patients who experience troublesome anxiety during dental visits. In 2003, Dr. Dodson was one of the first to offer sedation dentistry in the Monterey area. 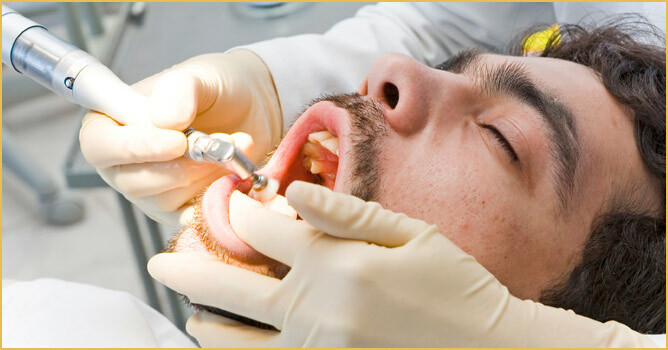 The staff at our practice is qualified to meet this objective by offering sedation dentistry. With sedation dentistry, you relax comfortably during your dental procedures, no matter how extensive they may be. Dr. Dodson can often complete weeks or months of dental work in one or two visits using sedation dentistry. For more information on sedation dentistry, please visit our FAQs page. To learn more about the many ways sedation dentistry can benefit you, call 831.649.1982 or fill out our online Request an Appointment form to schedule your consultation with William F. Dodson, DDS, FACP. We provide sedation dentistry to communities in Monterey County, CA (near Highway 68, next to Ryan Ranch), including Pebble Beach, Salinas, Monterey, Pacific Grove and Carmel.